Clean, shampoo and/or condition hair without any styling products. After establishing your parting preference, create 4 vertical sections (2 on each side of the head, from the ears forward, and 2 sections in the back). Place an additional elastic band about 1” from the ends of the hair. Ensure that the braids are just below where you would like the hair cut. Measure the length of the braids from band to band (minimum length is 12”). Cut the hair above the elastic band at the nape so that the band remains intact after cutting to keep the hair together. Place the braid (tied at both ends) inside a resealable bag, and seal tightly. If you would like to know when your donation is received, please include your full name and email address in your shipment. Click here to See how your local salon can participate in helping more women and children near you! Wigs & Wishes® By Martino Cartier is a non-profit organization founded by Martino Cartier, that is dedicated to providing wigs & granting wishes to courageous individuals battling cancer. 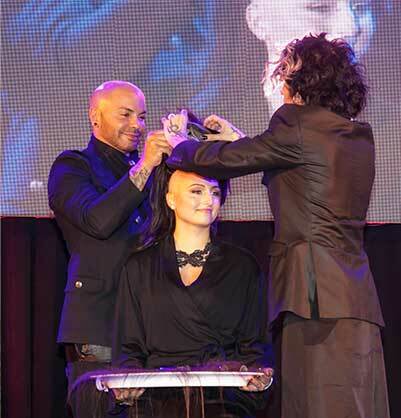 Supporting such a large initiative is made possible by a network of participating salons, stylists, and global corporate sponsorships. 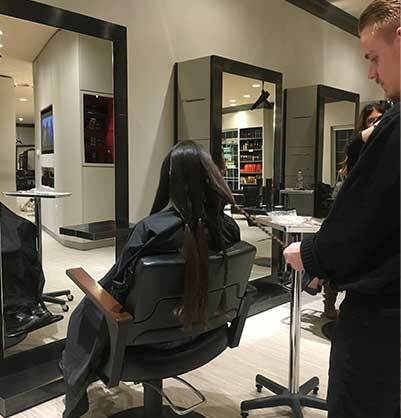 Salons and stylists throughout the world empower women by providing them with complimentary services that allow them for a brief moment to forget about their fight. Wishes are granted to children with cancer to brighten their day and bring a smile to their face while fighting life's toughest battle.